This Polaris RZR XP4 Turbo can seat 4 people, and is equipped with a full roll cage and passenger grab bar for enhanced safety. RZR XP 4 Turbos offer the next level in Xtreme Performance, featuring the most powerful RZR engine available from the factory plus 4 seats to share ultimate off-road excitement with your friends and family. The RZR can be rented along with our additional UTVs and ATVs. We also have Toy Hauler RVs for rent that you can use to transport the unit. Don’t need an RV? We Rent Flatbed & Enclosed Trailers as well! 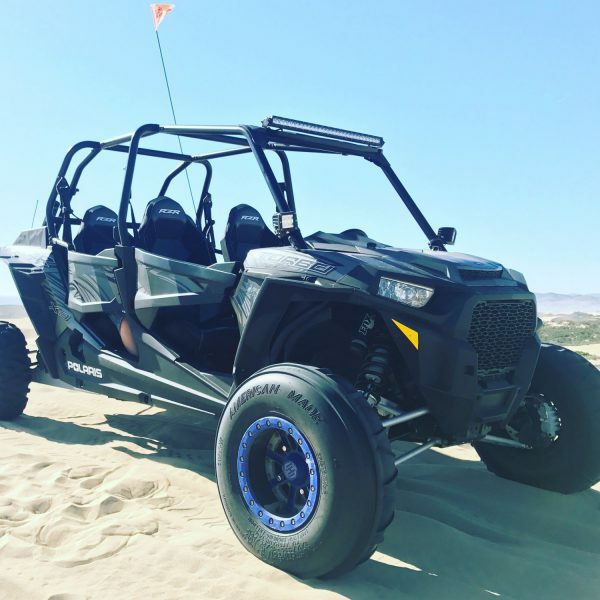 Rent the RZR & head to any of the local riding areas; Hollister, Carnegie, Frank Raines, Cow Mountain, Stony Ford, Glamis, or Pismo! You may also transport to the riding area of your choosing.